We've joined forces with the Obamas’ designer on renovating his Mapleton Drive home. As we announced on our blog in early December, we’re thrilled to partner with Michael S. Smith on the renovation of his Beverly Hills home. He’s documenting the entire process on his blog, The House on Mapleton Drive, and sharing his favorite resources along the way. Follow along to learn the hows and whys of his decision making, and to see his process first hand. This week, in our first of several interview with Michael, we’re talking all about kitchens: how he gets started, why the home’s architecture matters, and what he’s planning for himself. And below, you’ll get a peek at some of the manufacturers he’s chosen. SD: What’s your vision for the new Mapleton kitchen? MSS: The house was originally built in the 1990s but it had an almost ’70s vibe and, initially, I fantasized about an all-white kitchen—something like a laboratory, but there’s warmth elsewhere in the house, so I decided to keep it all balanced. Now, the design has the character of a white kitchen, but with beautiful oak and stainless elements. SD: And how did you shop for the appliances—did you have a clear idea from the get-go or did you come up with ideas as you toured our showroom? MSS: It was a combination, really. 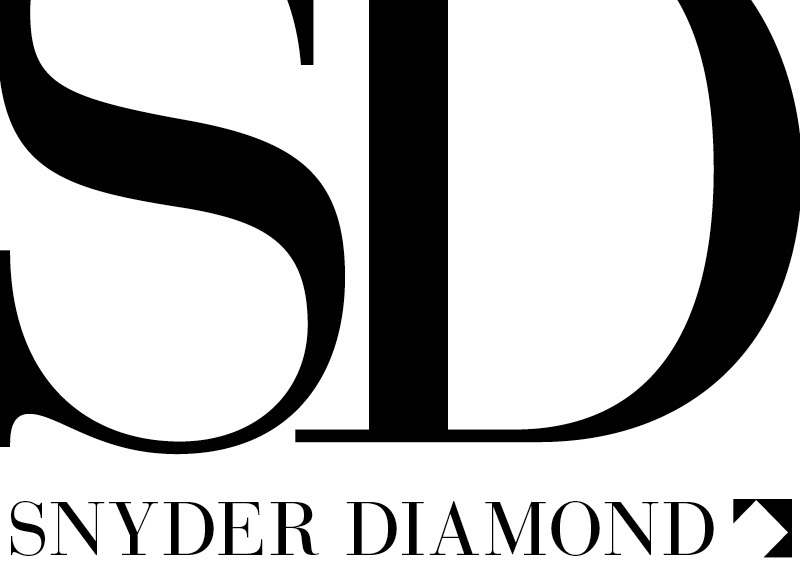 I’d done all my research well in advance but for someone who’s interested in this sort of thing, like I am, it’s exciting to go to Snyder Diamond and see what’s available. I definitely found stuff that led me to change some of my original ideas. Seeing the products in person just makes a big difference. SD: Do you have a particular starting point for designing kitchens? MSS: The first thing is to deal with what’s there already, and to get a good understanding of the space. What is it today? What needs to be done? How does it relate to the architecture of the house? I like to try and stay true to a house—to just make it better and more interesting. Integrity and continuity are really important. SD: Are there particular aspects of designing kitchens that you especially enjoy? MSS: Well, it’s never fun—they’re hard! If you come up with a whole new kitchen, you’re basically designing a whole house. They’re very architectural—cabinetry, millwork, etcetera—and it takes a really serious commitment. When you walk into a completely unrelated kitchen, it doesn’t feel right. The same goes for bathrooms, too. They can’t just be arbitrary spaces. Like, you can’t walk into a modernist house and suddenly it’s all antique Portuguese tile. You have to let the house dictate, or at least inform, what you’re doing. It goes back to the idea of integrity and creating continuity. It’s important to be cautious when you’re doing an intervention. SD: Finally, what do you think makes a luxury kitchen—what makes you say “wow”? MSS: A sense of something. A gesture. A color. For me, a kitchen is all about simplicity. It should be beautiful but not overdone, and it should have beautifully executed materials. It has to have a cohesive feel, too. You can’t do trickery in the kitchen! Some people try but it just doesn’t work well. You have to stay mindful of balance and how everything is working together. For my own kitchen, I like to keep the palette simple, or I’ll get sick of it. Not that I do much cooking, though. I have a private chef who makes my life much easier! So What Products Caught the Designers Eye? A few of Michael’s choices for Mapleton Drive include a stacking Maytag washer and dryer; Waterstone’s Parche faucets for the kitchen, bar, laundry room and work room; Julien’s petite UrbanEdge sinks for the bar and work room; a Rohl sink for the kitchen; and Hestan appliances for indoor and outdoor cooking. While not all of these pictured below are the exact designs he’s chosen, we can start to get a sense of the clean lines and simplicity he’s going for. For more design inspiration, check out Michael’s book Kitchens and Baths (Rizzoli 2011.) The cover image for this post is one of the featured designs, photographed by Thomas Loof.